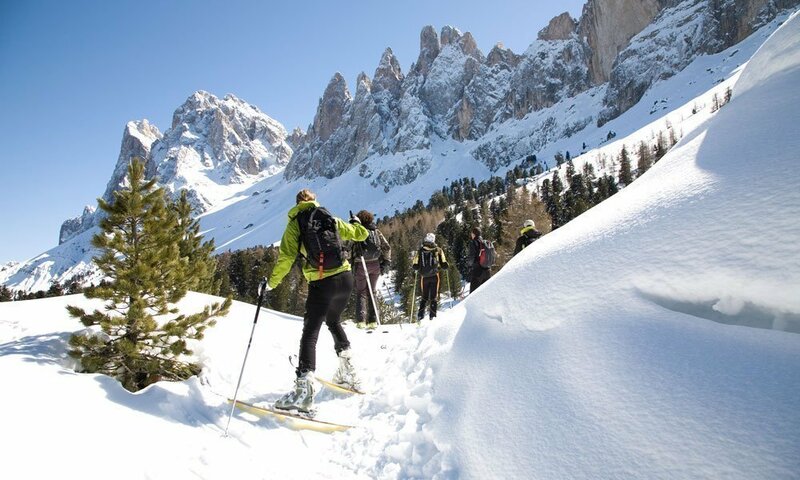 For snow fun come to South Tyrol! Immerse yourself in the silence and the sun-flooded white splendor of the fairy-tale winter landscape of Villnöss. 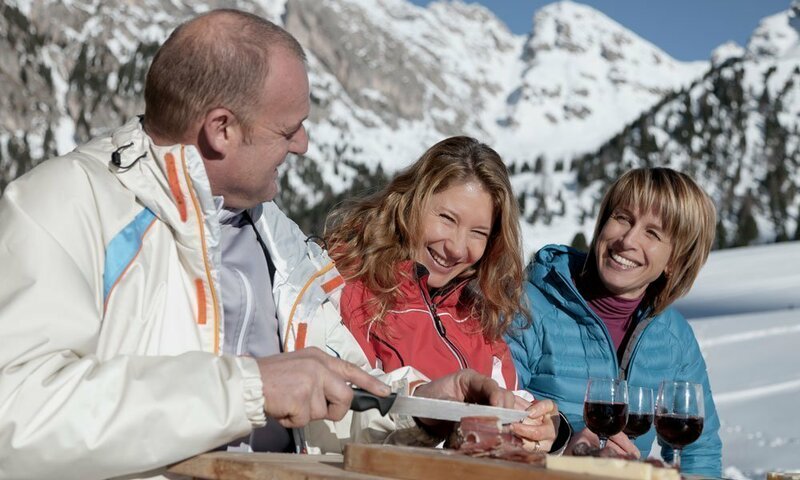 Relax on secluded walks, climb up panoramic paths in snowshoes or follow wonderful panoramic routes on skis or make a toboggan run with your family. 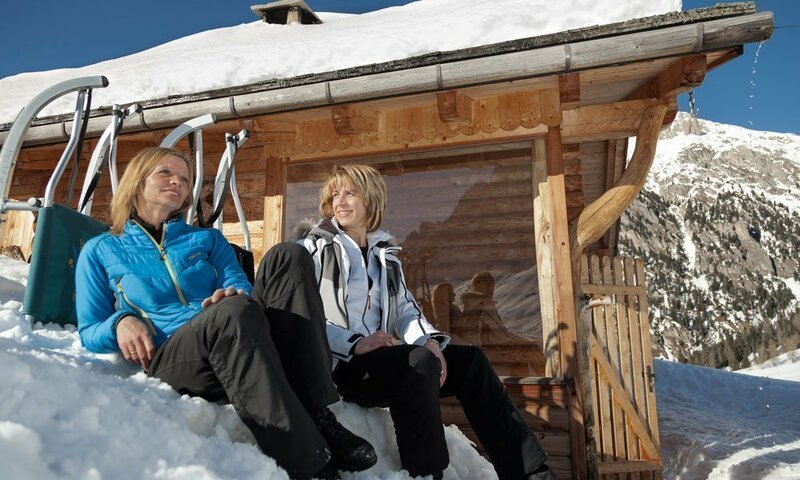 In the Puez-Geisler Nature Park, there are many paths that will lead you to maximum relaxation in your winter holidays and directly into an incomparable natural experience. 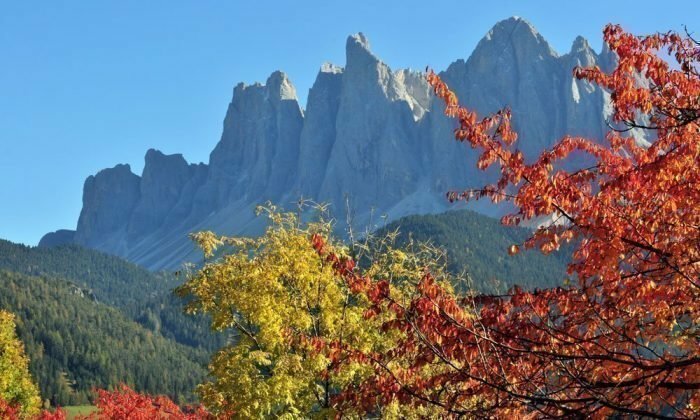 Our Villnöss valley is crossed till the end of the valley with numerous hiking trails, which you can walk in normal hiking boots or also in snowshoes. The latter make you even more flexible while crossing our snowy alpine pastures and winter forests or hiking to huts. 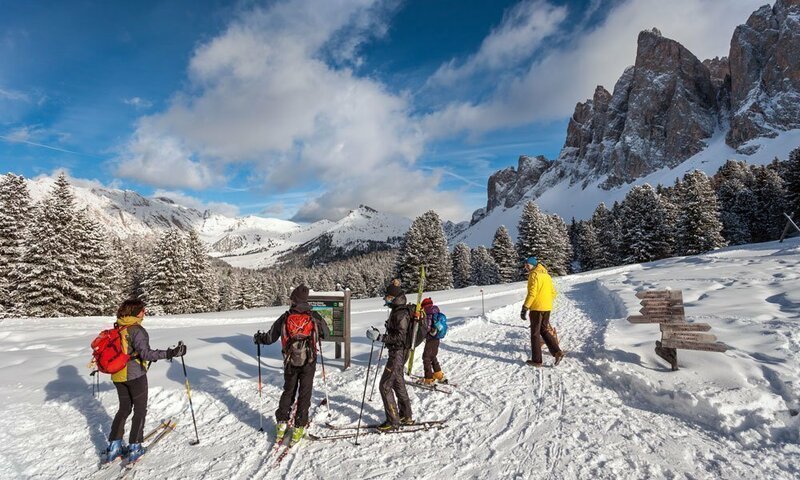 A tour to the Gampenalm, the Dusler, Kaserill or to the Geisler Alm are always recommended for your winter holiday in the Dolomites. For long trips on skied skis, there are many peaks bordering to Villnöss. Climb the Gabler (2.576 m), the Zendleser Kofel (2.422) or go up to the Bronsoijoch (2,300) – the view of the bright white mountains is incomparable. If you prefer skiing in the valley, then try the well-groomed cross-country ski run at the Würzjoch under the Peitlerkofel. It leads over a beautifully designed forest road, which is blocked to traffic in winter. 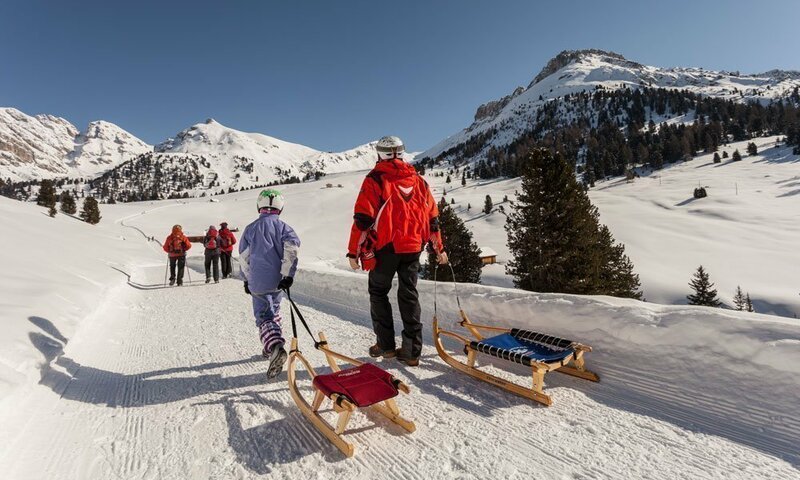 The round-track on the Zanser Alm and further cross-country ski runs of our approximately 20 km long network invite you to an unforgettable ski trip. Of course a part of the winter sports pleasure is also represented by the overturned tobogganing. 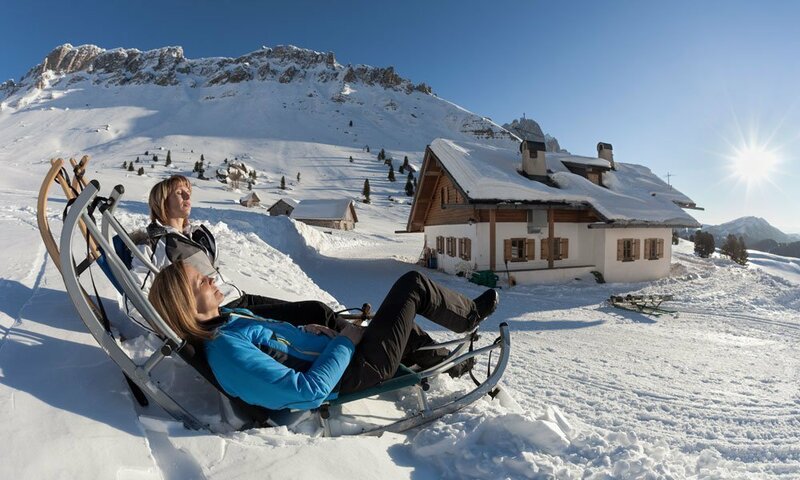 In Villnöss we have some natural toboggan runs, for example at the Geisleralm or at the Gampenalm. The one coming down from the Dusleralm is however the longest with 4.3 km. Your toboggan can be borrowed on the top and simply returned once arrived in the valley. Our secret tip: do not miss the toboggan overnight under the wintry stars!